City parking meters in downtown Manhattan Beach will be bagged for holiday shoppers from Wednesday, November 28, 2018 to Wednesday, December 26, 2018. Although parking at meters is free, spaces still have time-limit restrictions (i.e. 2-hour parking) and visitors must vacate the parking space within the time limit or they will be liable for an “Over-Posted Limit” violation. 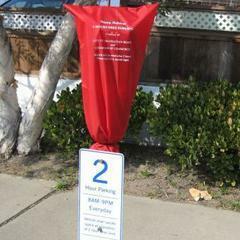 The County-owned pier and El Porto beach parking lots are not included in the meter bagging. If you have questions, please contact the Manhattan Beach Police Department Parking and Animal Control Office at (310) 802-5160.